There have been 184 images uploaded to this topic. (View topic image gallery). There are 554 posts in this topic. You are on page 2 of 12. Thanks for starting the thread swinks. My "LED Leg Light-Ups" (look for my topic) would look great on GB. My green Light-Ups would look fantastic on the Slimer LE, along with beatmasters Shooter Housing Light Up. So check out my topic and see pictures of them in action on some games. We have 8-10 mods planned. As usual, some will be officially licensed through Stern and some will be independent. Thanks to everyone for the ideas and the feedback on what we are doing. Just got back from Texas, fitted Glo-balls in both Newton ball troughs. Kristin will get these up soon and in the marketplace. We will sell mixed sets. Those look like they were mad for the game. 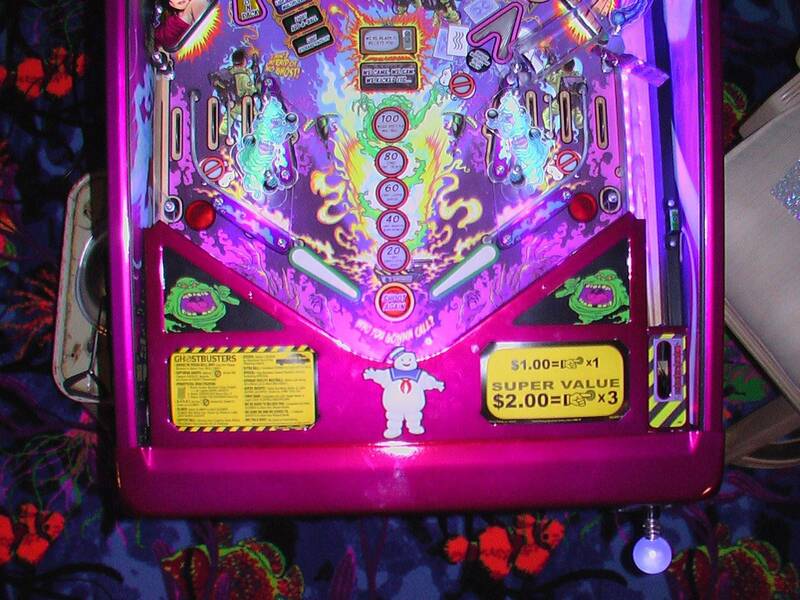 Can you tell us how many games each pin racked up? I said 2500 each. Will you be able to see the whole game in your room, not just the front? I did not see the audits and they are off to the next show. Constant lines for 2 machines. 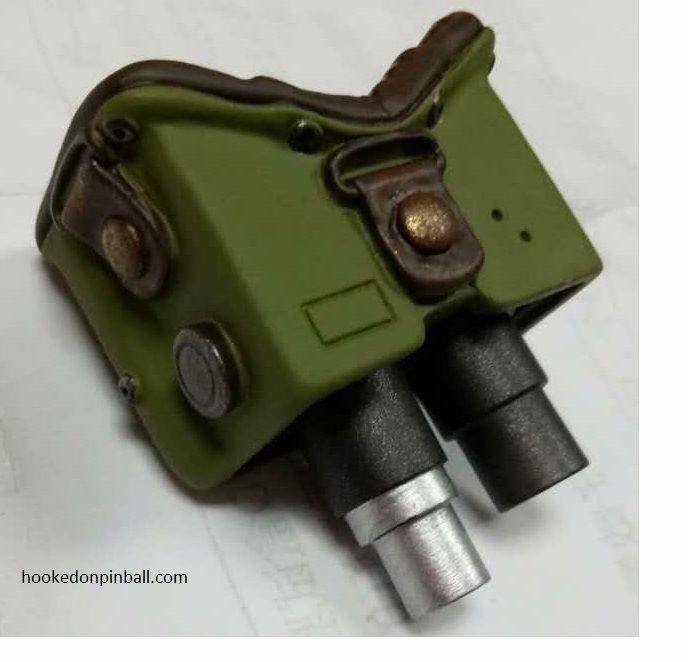 Theres the black exposed metal with screws above Slimer.....Perhaps a small version of the trap on a base, would cover the nuts, and actually look appropriate with Slimer under it...??? Figured you might dude. Can't wait to see what you've got in the pipeline! How about a 3D cloud that covers that ungle black box above the slimer? Most obvious mod would be a 3-D sculpted firehouse to replace the flat stock one. While the purple city buildings above the pops are OK, I can see a higher quality replacement being made for that as well. Has anyone thought of a replacement button where the "tournament play" feature is on the front of the machine under the start button. This would fill the void for home use customers. 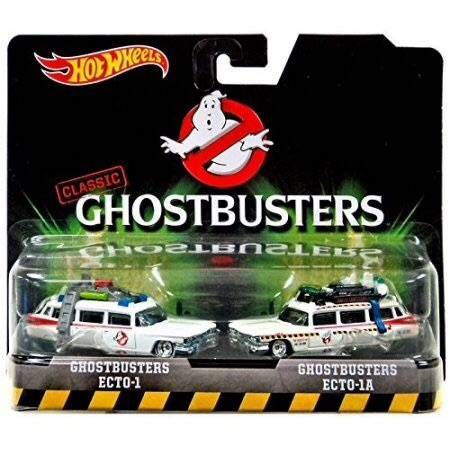 Ecto 1 car available...fits back left between flashers, confirmed at TPF. Ties to GI. would that even be possible? How long were they available to play? 3 ball games? were 4 player games allowed? It would take 16-17 hours to put 1,000 plays on it at a minute per game. I say 800 on each. I am thinking a slime magnetic decal for the coin door as well.........got dress up that black square. I don't know, it was just an out of the blue guess. 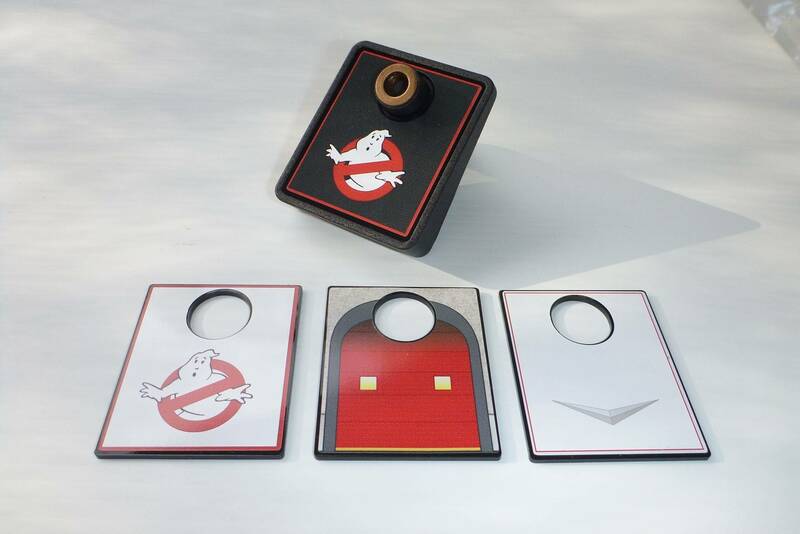 Pinsider jeffsgames just posted a very nice GB key chain in the GB thread that looks like it would cover it nicely. I just bought 3, 2 for my speaker grills and one to cover that button. It's made out of metal and it looks like it will light up nicely when my Leg Light-Ups are put on. Thanks. That looks great, Just bought one. 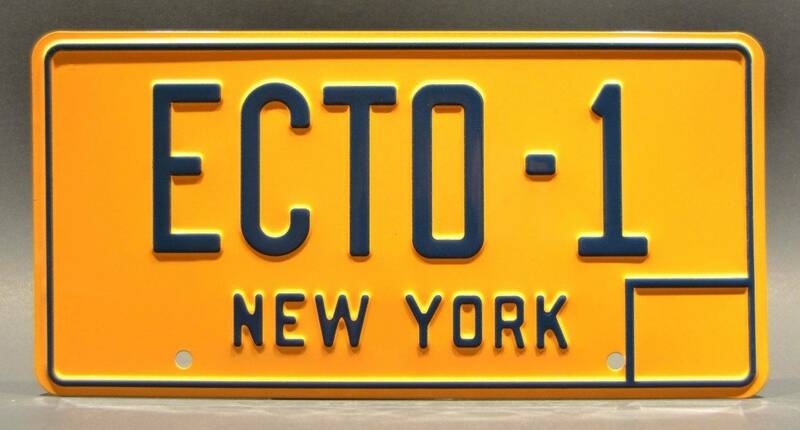 well, seems like i or anybody else can't use the word ecto-1 or the slimer in anyway. shouldn't have to make one in the first place but stern like to cheaped out on every occasion they have. so unfortunately i won't sale this one anymore but will come up with a new design. *so swinks you can remove this one from the list. How about a mod to light Slimer? Depending on what he is made out. Would look cool to have EL wire as a proton stream on the Slimer mech arm and have him glowing bright neon green or maybe flash upon registered hits!? I may try this once I have a game, would have to see if it could be triggered via a flasher or always on. looks cool but unfortunately the minute you try to sale those stern will send you a notice. Then it's not for sale. Stern can contact me and I'll make these for them. If they don't want to do that, I'll make them for FREE. 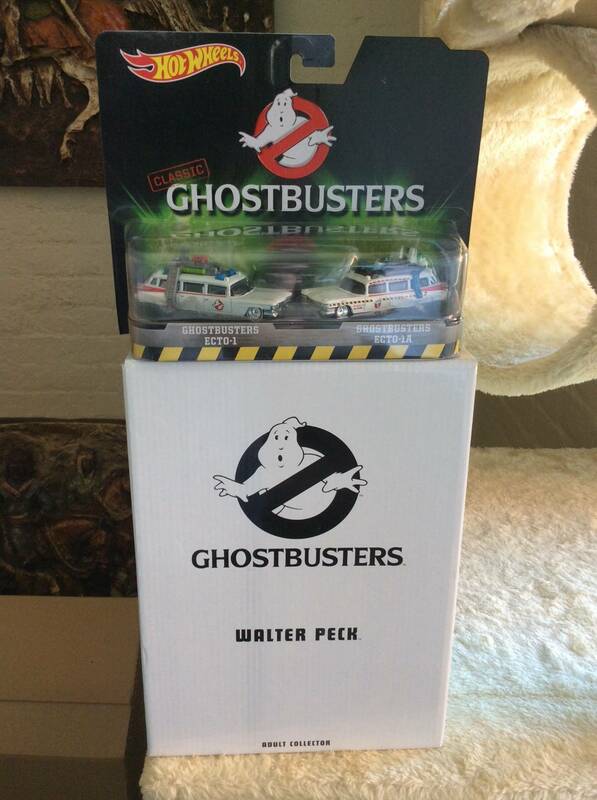 well, seems like i can't use the word ecto-1 in any way or slimer. shouldn't have to make one in the first place but stern like to cheaped out one very occasion they have. so swinks you can remove this one from the list. 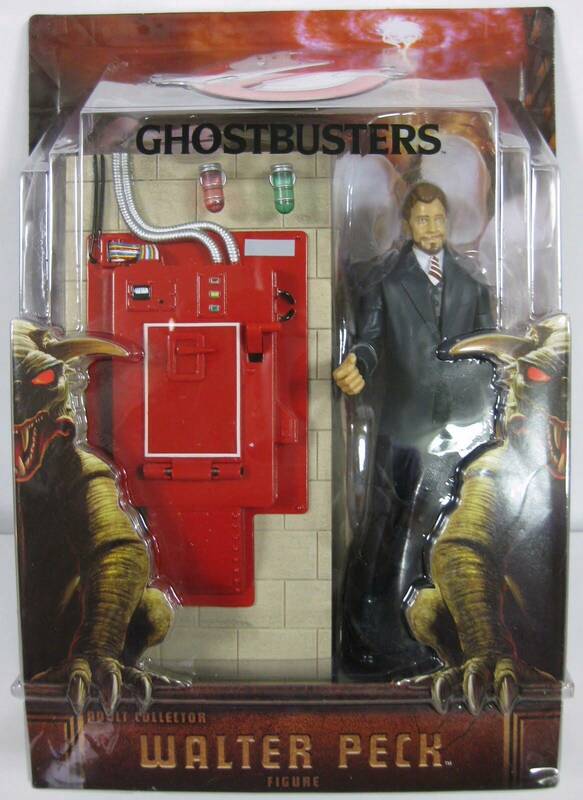 i did, ecto-1 or slimer or anything related to ghostbusters is an IP infringement. I'll make a "donation" then. Same with you too Bob. i'm not the only one who received the notice. looks like $tern is coming up with something related. I received notice on my car. Too bad, it's a really cool mod. I guess I could sell it as a modded car for a pinball machine and not mention the offending terms. Maybe I can give it away and just charge for shipping?? Time to create a bunch of Ghostcatchers mods, huh? The mods we all create all equal up to a couple hundred bucks, maybe. Maybe a grand between us all? I understand the principal behind it, but some of this I believe they don't have a right to enforce. A magnet? 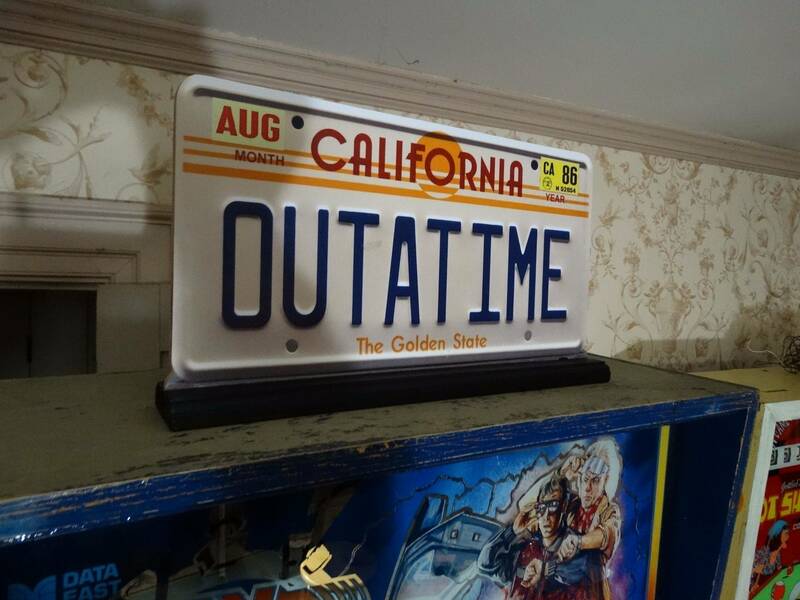 A license plate? 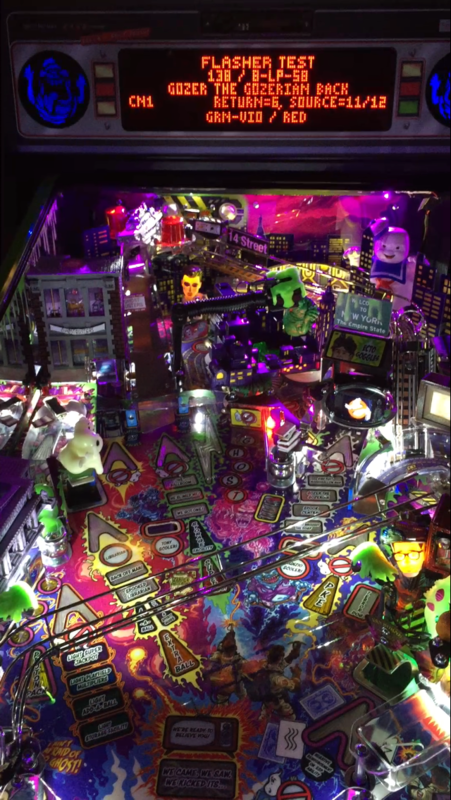 Looks good on a pinball, but hey, it looks good on a fridge, or put on top of the mantle or a desk. 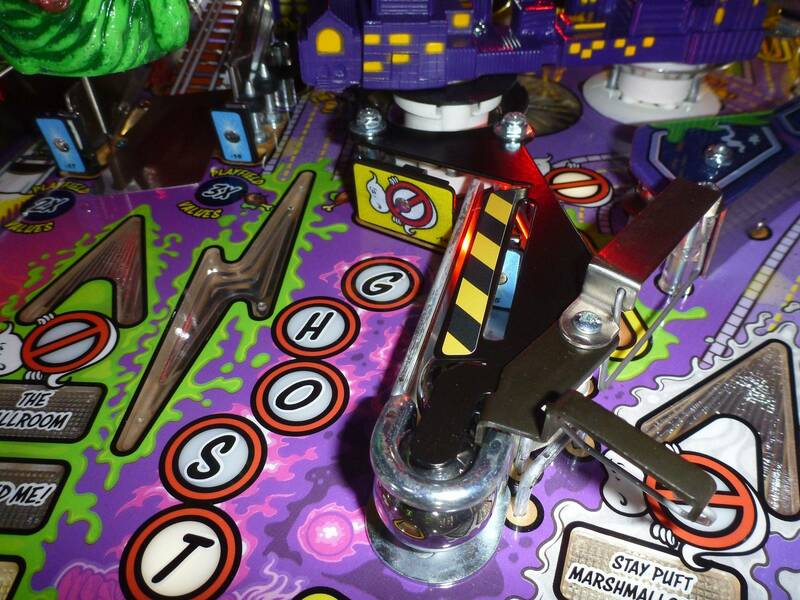 Who says it's pinball? Makes me feel like NOT buying a pro. That would be one less $5,000 machine not bought, that otherwise would of been. Would it be worth it for them then? I'm not saying this is mezel mods fault, because it isn't. However, the partnership stern has with them making "licensed" mods is what is causing these new takedowns Stern never used to send. They are less protecting IP for ghostbusters perhaps and more protecting them selling really high priced mods. deal Mezel made with stern is I'm sure incredible for them, but has raised the price on all mods and toppers and definitely lessened the market for the home modder. it has nothing to do with mezelmods, stern wants to be part of the market, this is an opportunity for them to make money. look at what they are selling now, sideblades (or whatever you wanna call it) someone came up with the idea long before they did, same for toppers, shooter rods, side rails, powder coat, copying everybody else's ideas, why? because they can. and at twice the price. they say they want to work with modders, i don't see anybody else (i could be wrong) i know a lot of modders tried, no results, they never get back to them. will it stop me? no fu*king way. I woke up this morning with a couple of messages to modify my first post (done) as they got notices from Stern. I went through this on the Kiss game doing Kiss Shooters and at the time was a little naive of me to do so, so I stopped. 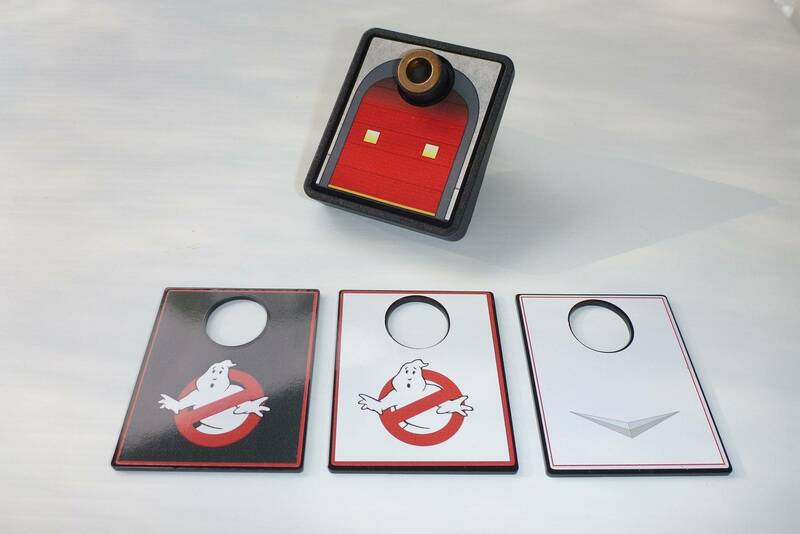 I can understand making something with a ghostbusters logo, ecto 1 license plate, ecto 1 car and even looked up and the firestation and proper library from the movie is protected as is slimer and marshmellow man. Can Stern please post a copy of what would be a infringement on their license / agreement so us creative people can have some fun. 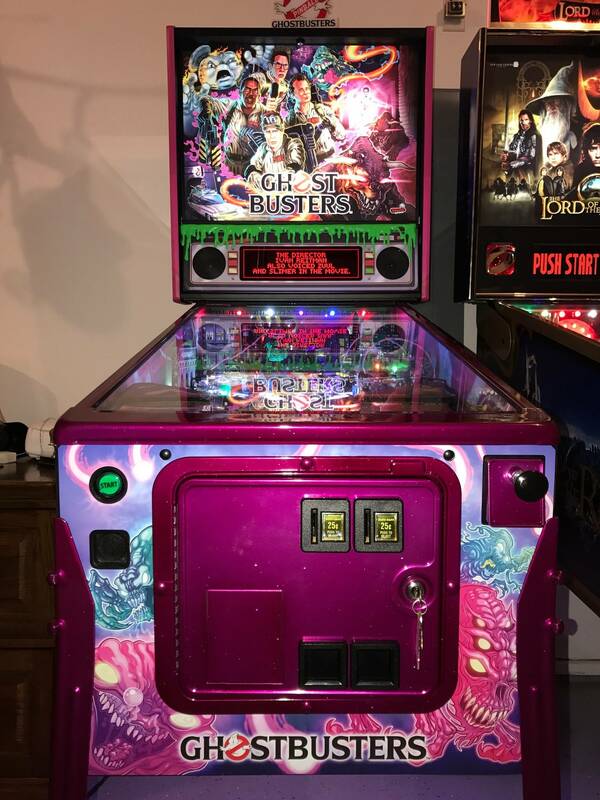 In the end we don't make alot out of it and more for the fun and gives us some hobby money towards buying another pinball (Stern) so you are slightly affecting your own sales. 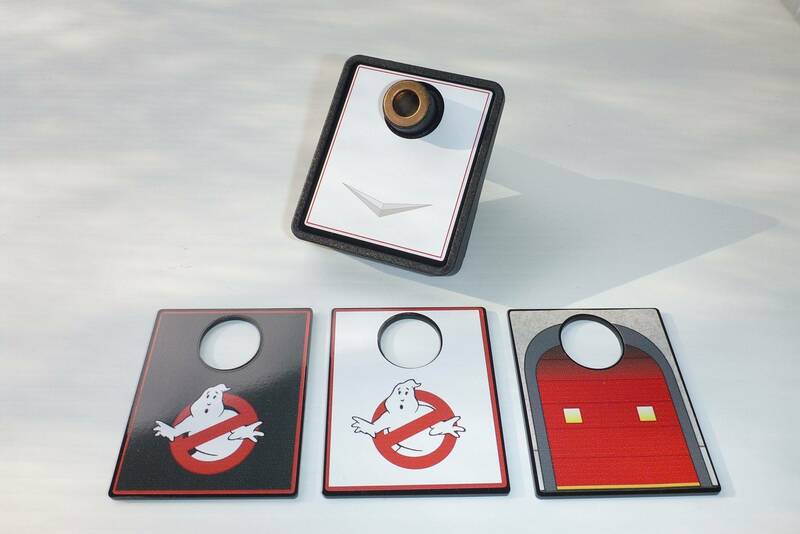 As for making stuff for a Ghostbusters pinball as I see it as long as it isn't a item that is a infringement of the above I think we can still design and make stuff for the game as long as it isn't containing and creating a item protected by an IP. I also don't see a issue with getting a after market ecto 1 and adding lights as you are then paying for the cost of the publically available car and then paying for the lights and labour to install. 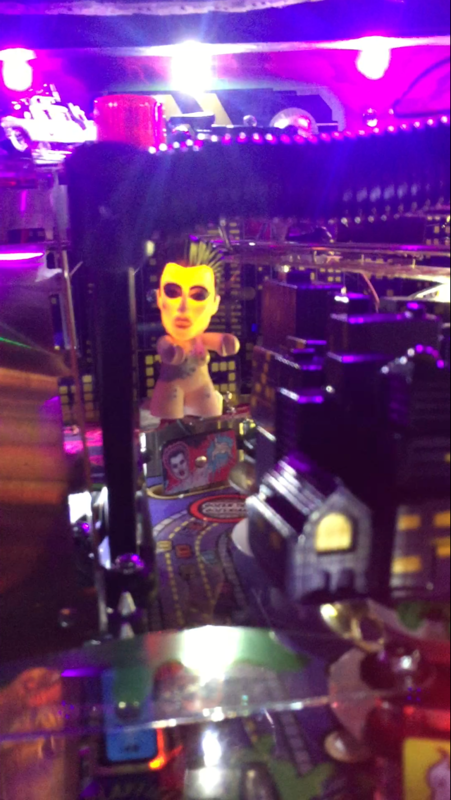 Maybe I am wrong - please correct me if I am but to say you are not allowed to make anything for the ghostbusters pinball is crap. This is then a monolopy for Stern and then sorry to say Mezelmods. 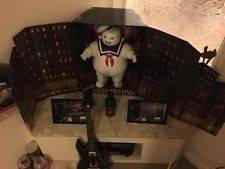 For me I am going to make my version of a covered pole and top for the slimer, pke flippers, a base for the publically available slimer for a topper and a few other things. From what I understand is that Mezel Mods was already making mods, it ruffled Stern's feathers, and rather than shutting down the Mezels, Stern offered a partnership instead. I imagine that if you have a mod that you'd like to sell that you could work with the Mezels to get it in their store, however. The mod community used to be pretty much the wild west. At some point license holders saw lost revenue opportunities and gray area IP infringement stuff going on and they decided to lock things down. I have been told by Mezelmods in the past that Stern asked them directly to copy one of my designs - which I think is wrong of Stern and though I don't agree with Mezelmods following through and copying someone else's design (copyright to a degree) with their version but do understand and respect the relationship they must maintain with Stern. I have reached out to Stern in the past as have a few other modders with zero response so I think they want to control the market and earn even more money from their own products. As for their products the prices are probably accurate to what their costs are for small runs therefore for us modders our prices are pretty good as I know for myself my prices are set at cost plus 25-35% for my cut and taxes, as for my development - that is a loss and purely for the fun of it as I don't build that into the product as it would make the mod over priced. Swinks, you are correct. Stern cannot hold anyone accountable nor block anyone from making or selling anything that is copywritten by Sony. Stern can block you if you decide to replicate their pinball machine, parts, etc...but if you choose to chance getting away with building a prop and selling it for $'s whether making a profit or not that Sony owns the rights to, (a characters name, scenes, figures etc.,) Sony's legal would find and serve you a S&D letter... Which could either could be a warning or a collection of fines depending on what sony's legal has decided is worthy in pursuit of collecting. It's a chance you take building mods that infringe on Sony's copyright. Stern is protecting itself and I'm sure it's more work for them to prove a prop/mod was not made or sold by them if Sony see's it on a game. Certainly the scare tactic is enough to be sure they cash out on props for the game before anyone else. Positive note, Stern is at least looking out for people's best interest to warn prop makers, (but if it takes away $'s from Sterns pocket) they will share with Sony who is individually infringing on their IP. Pretty easy for them to do since there is this one thread titled GB Mods. 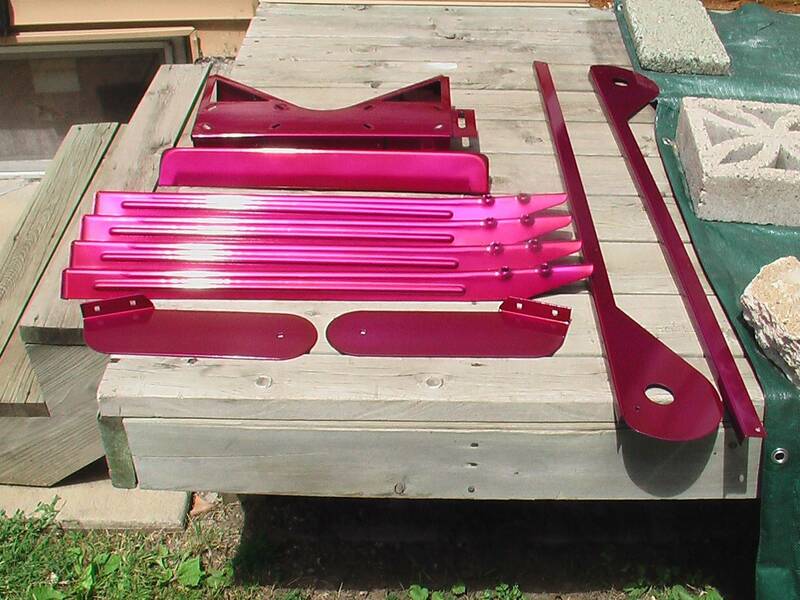 Just charge a nominal fee for instructions on where to buy the parts and how to put everything together. You can't be held responsible for what someone else does. 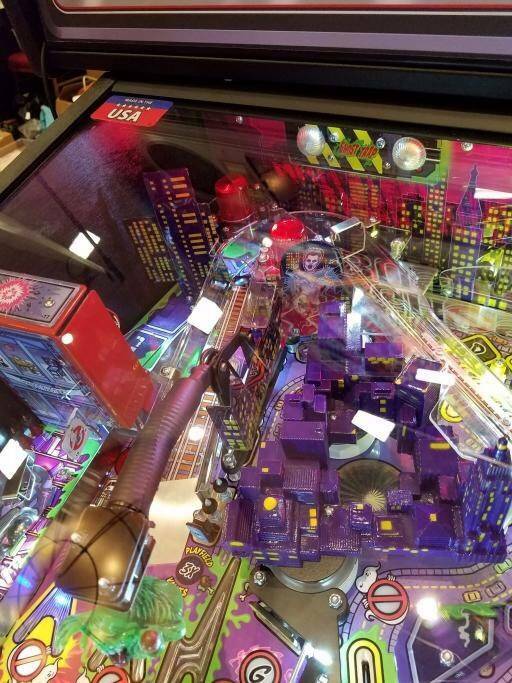 I totally agree with you and I am and not telling others to chance a IP protected part but to say no one can't make anything for a Ghostbusters pinball is crap. What legal line am I crossing if I want to design a cover for the ugly bolts on top of the slimer mount, or a generic library for the pro or like tilt graphics generic building setting with slime as these items are not IP protected. In the end stern are only affecting their own sales again with the modders as doubt many modders that are not connected with Stern are making a full time living from mods and they use the money made to buy the next machine to add to their collection to mod. Exactly why I said not their fault and they didn't cause it. Absolutely nothing against mezel in the slightest, have offered kristen to carry their mods at shows on the west coast we go to they don't, for example. 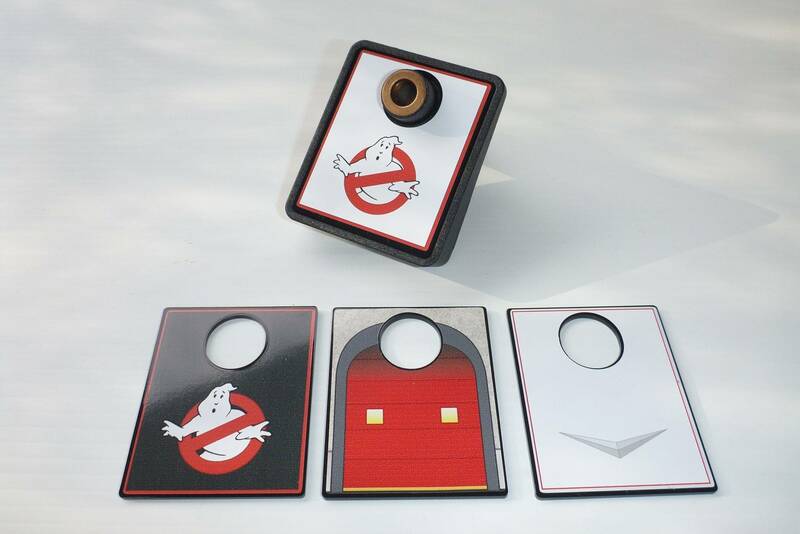 Just bought a collection of Mattell Matty Ghostbusters, all 4 with proton packs that lights go round on, Ray I think has a little trap that opens. el wire the stream on that maybe!? Or pulsing LED in the trap!? Oh and included was the 20" marshmallow man!! Paid a pretty penny ($470) for the set. 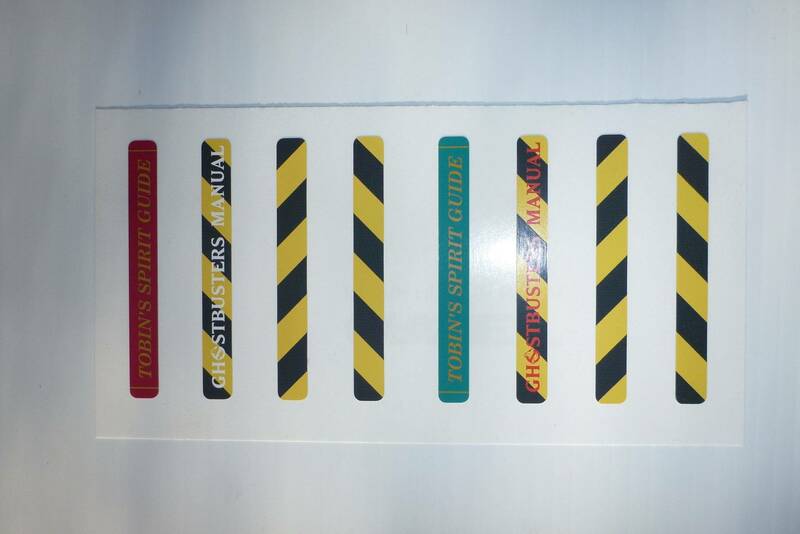 Ghostbusters LE Loaded, ColorDMD, Topper, Side Armor etc. 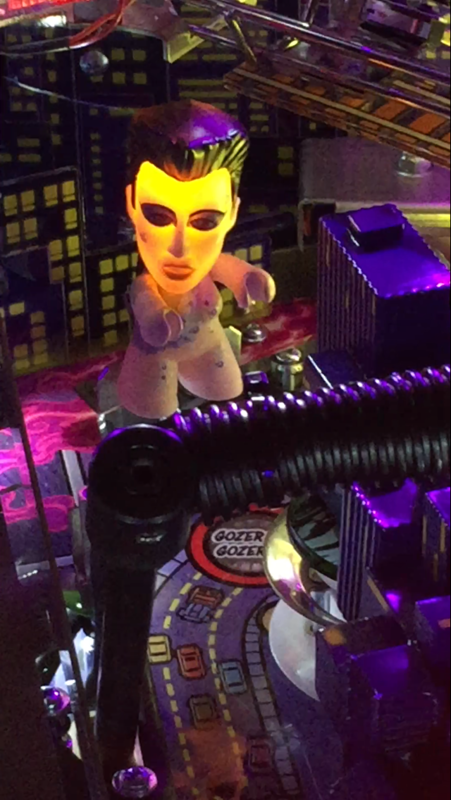 Ghostbusters Premium HUO 321 plays - Excellent!